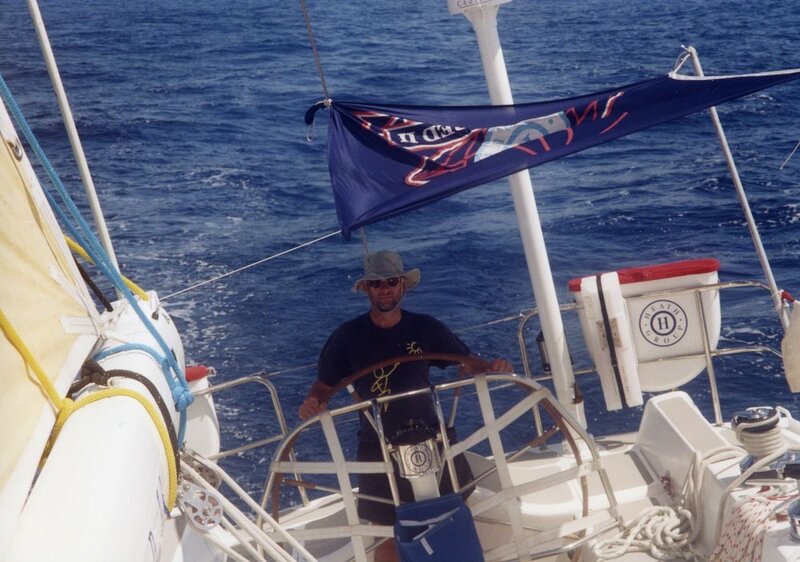 A salty tale of sailing round the world - as told by John van der Hoff aboard "Heath Insured". Part 2 - Rio to Wellington. 7921 nautical miles. 42 days. Having taken on 3 new "leggers", one of whom replaced the crew member who jumped ship, we set off on 20th November. It has to be said that this was hardly the ideal leg for leggers to join the fray, but, according to Sir Chay: "that's the cards you have been dealt so get on with it." Conditions on the first two weeks of the route down the east coast of Brazil, Uruguay and Argentina were pleasant, with mainly downwind sailing and spinnakers flying. But when we encountered an unexpected rogue wave which hit us beam on, the spinnaker ripped down the entire 75 ft length of the luff tape and also washed the deck shoe off my left foot and over the side. Repair of the spinnaker necessitated unpicking the stitching on the tape, re-attaching it to the spinnaker with a stapling gun, re-stitching the tape and removing the staples. This was done under my supervision by the crew on the mother watches and off watches. The repair took approximately 300 man hours over about one week. This was but the first of numerous spinnaker repairs during the race. I came to the conclusion that spinnakers are the instrument of the devil, and were put on board with the sole purpose of tormenting me. I was banned from helming when flying a kite as I tended to sail conservatively in the vain hope that it would prolong the life of the kite. With my deck shoe gone, I had no choice but to wear sea boots for the remainder of the leg. This resulted in Trench foot, causing my left foot to swell until it would not fit in the boot. A severe telling off from our medic for not seeking treatment earlier and a regular dose of antibiotics kept it under control until we reached Wellington where a few visits to the foot doctor sorted it out. This was my only injury/illness during the entire trip, so I was extremely lucky. Being covered from head to foot in bruises does not count. A post-race analysis of illness and injury carried out by the University Department of Neurology, Addenbrookes Hospital, reveals that a total of 685 cases were reported, of which 299 were injuries and 386 illnesses, necessitating three evacuations at sea. Onward: On 2nd December we were West of the Falklands and 300 miles from Cape Horn. From that point on the weather deteriorated continuously save for a very odd episode when we were virtually becalmed rounding Cape Horn. Perhaps we were in the eye of a storm as from there on the entire fleet took an unrelentingly savage beating. One day was much the same as any other. We were now bashing to windward with an average true wind speed of 45 knots (strong gale) and a maximum recorded gust of 57 knots (violent storm). Maximum recorded sea state was 14 metres. Sail changes in these conditions were dangerous but necessary if we were to continue racing. The mother watch would drag the sail from the sail locker to the companionway and the deck crew would then attempt to drag the sail to the foredeck, all the while being swept by waves crashing over the deck. Both the deck crew and the sail bag were attached to jack stays and more often than not the entire ensemble would be washed down the length of the deck as far aft as the cockpit. A sail change in these conditions could take 40 minutes or more to complete. The main sail had long since been taken down and replaced by a trysail which lasted only a few days before shredding. Up goes the fully reefed mainsail, only to blow along a seam. "Save the Children" detected a broken strand on the lower end of the backstay. "Global Teamwork" experience a similar problem. "3 Comm" suffered a broken forestay. Five yachts were to suffer partial or total forestay failure. Four yachts endured failure of the lower stays on the starboard side. The mast of "Concert" snapped just above the first spreaders on 18th December. The nearest point of land was the Chatham Islands, some 2000 miles away. "Concert" would not have enough fuel to get there, so a rendezvous was arranged with "Motorola", the nearest competitor, to transfer 120 gallons of diesel in plastic jerry cans by a breeches buoy type of contraption during a comparative lull in the weather. After refuelling on arrival in the Chatham Islands, "Concert" set off for Wellington. At around the same time "Heath Insured”, which I was crewing on, diverted to rendezvous with "Time and Tide" to transfer all the painkillers we could spare for one of their crew who had suffered a compound leg fracture which would require surgery. Our positions were well beyond helicopter range and commercial shipping routes so a medivac was not on the cards. "Time and Tide" also diverted to the Chatham Islands, from where the injured crew was flown to Wellington for treatment. "Heath" came within a split second of losing her rig when the inner starboard stay was left dangling by 4 of its 19 strands. Only a crash tack executed by the quick thinking helmsman saved us from the same fate as "Concert". All sails were brought down in short order and we ran downwind (i.e.away from NZ) under bare poles for about 36 hours while a jury rigged stay was constructed with spare spinnaker sheets, so we lost 3 days before getting back to roughly the position we were in before the rigging problem struck. Shortly thereafter one of our leggers suffered a dislocated knee when he was violently thrown across the deck. The poor lad spent the rest of the journey to Wellington strapped in his pipecot and never saw the light of day until he was stretchered off. Someone must have prodded Neptune with a sharp stick, because he decided to save the worst of the weather until last. On 29th December the forecast brought warning of the approach of Hurricane Fergus. The prediction was for the sea state to turn "severe" and then "phenomenal". On 30th December we had a bit of a blow , with constant winds of 50 knots true and gusts of over 60 knots. Life below decks was equally challenging. We rigged jackstays to stand a chance of getting around the boat without becoming airborne. Nothing was dry anymore. The boats weren't designed to perform as submarines. Water regularly rose above the level of the sole (floor) because the automatic bilge pumps were overwhelmed. The off watches and mother watches took turns to man the two manual pumps which could each shift 26 gallons per minute. The constant falling off waves caused light bulbs to explode, cupboard doors to bust open and scatter the contents everywhere, and the cooking hob unit broke free from its mountings. Cooking simply consisted of putting the freeze dried contents of the sachets in a large pot, pouring in boiling water, and stirring the resulting slop to an even consistency. One menu looked and tasted such the same as any other, but the ingredients had been carefully put together by a nutritionist to give us the correct balance of whatever gubbins we needed. More often than not the cook's aerial ballet resulted in the water missing the pot or the slop ending up on the ceiling. The food was served up in large plastic dog bowls and eaten by the lucky diners with varying degrees of enthusiasm before turning in for some sleep. The standard off watch had by now been reduced to whatever time the prevailing conditions would allow. For me time was too precious to bother with the elaborate process of getting out of the survival suit, and losing body warmth in the process, so I remained firmly cocooned in the suit for about the last week of this leg. Personal hygiene? Don’t ask. We eventually pitched up in Wellington in the early hours of 4th January 1997. We stayed for six weeks during which time all 14 yachts had their masts removed, the rigging completely renewed, and hauled out for inspection and repair, and drying out. The bow sections of the hull (4mm steel!) on all boats were noticeably stoved in as a result of falling off waves. 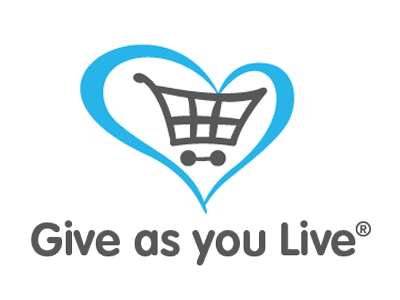 General repairs, cleaning, re-provisioning etc. was again left to the “core” crew, so Wellington was my only experience of NZ. In retrospect, Wellington was my favourite stop over; very tranquil after the madness of Rio and the savagery of the Southern Ocean. Can the next leg be any worse? Find out in part 3 in the next issue. Until the next time … fair winds and tides. 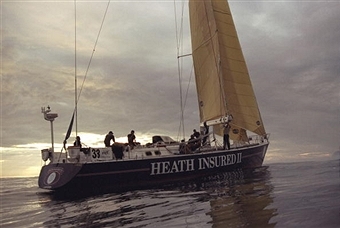 John's boat "Heath Insured II" crossing the line at Rio.